In July 1915 the US Ambassador to the Ottoman Empire down at his desk in the second story of the large white neo-classical embassy building in Istanbul, to compose a memo to the Secretary of State in Washington. In composing his urgent memo, Morgenthau first wrote “confidential” but must have thought better of it and crossed out the word. What he wrote next has remained one of the most significant documents relating to genocide in the 20th century. “Deportation of and excesses against peaceful Armenians is increasing and from harrowing reports of eyewitnesses it appears that a campaign of race extermination is in progress under a pretext of reprisal against rebellion,” he wrote. Morgenthau concluded his memo by noting that the US should inform other foreign missions that only “force” would prevent the Turkish actions. At the bottom he signed his note, “American Ambassador, Constantinople,” using the old Western name for the then-capital of the Ottoman Empire. 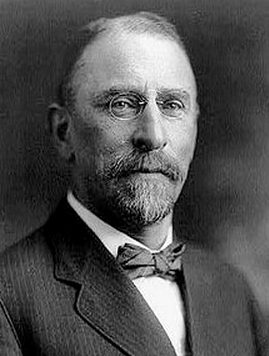 Morgenthau, who was often photographed wearing his fashionable pincenez glasses, is remembered as one of the major figures to passionately chronicle the early events of what is often referred to as the Armenian Genocide. He was a passionate defender of Turkey’s minorities, including the Pontic Greeks and Assyrians. After America’s entry into the war Morgenthau became involved with a controversial mission alongside Felix Frankfurter to persuade the Turks to sign a separate peace treaty. What is interesting is that Morgenthau became a fervent critic of Zionism, seeing it as “a surrender, not a solution, of the Jewish question.” At the 1919 Paris Peace Conference he signed an anti-Zionist petition, hoping that the conference would repudiate the Balfour Declaration. The Armenian Genocide is in the news lately because of a decision to hold a discussion about the events of 1915 in the Knesset’s Education committee. Unlike in previous years where Israeli politicians eschewed mentioning the word “genocide” for fears of harming relations with Turkey, politicians spanning the political spectrum have now agreed that it is time for official Israel to start talking about the genocide. 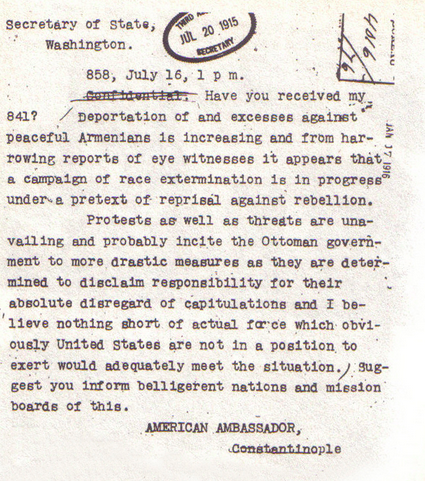 Raphael Lemkin, coiner of the term genocide, referenced the Armenians and Morgenthau when he sought to understand the mass killing of the Holocaust. The Turkish government, Turkish and non-Turkish scholars and many Turkish people have maintained over the years that what happened to the Armenians in 1915 should not be defined as a genocide, a term which has legal, as well as historical, importance. They argue that scholars must decide for themselves what happened and that in general the events should be understood in the wider context of the suffering of many people in the region during the war, including many Turks who died in the conflict. GEORGE HINTILIAN, scholar, prominent member of Jerusalem’s Orthodox Armenian community and a sort of roving spokesman on the importance of the genocide, brought up Morgenthau’s name in a recent interview. Hintilian speaks quickly and over a wide range of subjects. He is happy to host people to show them around the Armenian Quarter in Jerusalem’s Old City, which is the center of life for around 2,000 Armenians who live in Jerusalem today. In the aftermath of 1915 many Armenian orphans found their way to Jerusalem. Hintilian takes me to the Armenian Museum, which is temporarily closed for renovations. All the names were carved in 1922 when the orphans were housed in the large building. The boy would have been 13. Later many of the orphans moved on, settling in the Middle East, France, the US and even in Ethiopia, where one of them became the author of Ethiopia’s national anthem. Hintilian sees the victory over denial of the Armenian Genocide as stemming not only from the public but also from the Israeli media and academia embracing the issue. “The media has now brushed aside all this old terminology [such as “Armenian massacres”]. Academics and the media now use the word ‘shoah’ [to describe the Armenian Genocide]. I care deeply about Israeli society and today there is a de facto recognition, but I don’t care about de jure. Even in the US you won’t see that. When I was invited to the Knesset over the years I went to see my friends, like [former MK and justice minister] Yossi Beilin, who were fighting this campaign [for recognition] for many years. But in my opinion, a recognition today can’t be negotiated or requested, it must be spontaneous. Already there are 25 countries that recognize the genocide – Israel should have been in the first 10. “If it comes spontaneously then ‘shukran’ [‘thank-you’ in Arabic], but when you have the public it isn’t important. Hintilian believes one must look at the long arc of Israeli history to understand the country’s odd relationship with the Armenian Genocide. 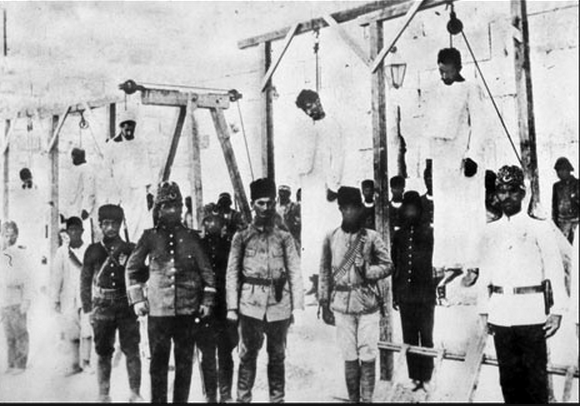 THE TURKISH government takes state recognition of the Armenian Genocide extremely seriously. Unfortunately, by press time the second secretary to Turkey’s Charge d’Affaires in Tel Aviv was unable to provide us with a statement. When the French parliament brought up a bill to make denial of the genocide illegal Turkey recalled its ambassador. Turkey has already withdrawn its ambassador to Israel over the Mavi Marmara flotilla incident in 2010. The country has persecuted its own academics and intellectuals who have written on the genocide. One of those who fell afoul of the authorities is Taner Akçam, an associate professor at Clark University. Born in 1953 in the village of Ölçek in Eastern Turkey, he gravitated toward leftwing activism, opposing the Turkish invasion of Cyprus and the government’s treatment of the Kurds. A graduate of Middle East Technical University (METU) in Ankara, he was sentenced to prison for 10 years for his politics in 1977 but escaped from prison and fled to Germany. “I was naïve and when I began working on this [genocide] topic, I had no idea that it was so politicized and such a contested subject…. Once I had experienced how dangerous it was, I might have yet changed subject areas. I continue for three reasons: fear, stubbornness and anger,” he writes in an e-mail exchange. He believes that Turkey is entering a period where denial will fade away. The founder of modern Turkey, Mustafa Kemal Ataturk, called the genocide “a shameful act,” the title of one of Akçam’s books. “With the coming of the AKP [the Islamic party that governs Turkey], the control of the state by the military-civilian bureaucracy was broken. The Ergenekon and Sledgehammer arrests [of military officers who plotted a coup] should be considered an important blow against the Unionists [pre-Ataturk] tradition. To understand how academia understands the Turkish relationship it is worth turning to the Moshe Dayan Center for Middle East and African Studies at Tel Aviv University. Ofra Bengio, one of Israel’s foremost scholars on Israel-Turkish relations, is a soft-spoken woman who speaks helplessly about the decline in contacts with Turkey as one might speak about a relative whose health is inexorably deteriorating. “I think academics need to deal with this issue, not the government or parliament. A university has to teach and study whatever subject it wishes to. It is important to look at this, the big question; can the Turkish government show all the documents? They say that the Armenians hide a lot of documents. There is a lot of controversy.” Bengio argues that the issue of semantics, whether to speak of “genocide,” “massacres” or an “Armenian holocaust” is something that comes up in the media due to the political tensions. “Whenever it becomes an issue in the Knesset you hear these words. There is an attempt to talk about it because Turkey talks about the Palestinians. AT THE political level in Israel the leftleaning Meretz Party has pushed for recognition of the Armenian Genocide for many years. Zahava Gal-On, who is one of three Meretz MKs, describes her involvement in the issue of the Armenian Genocide as stemming from the party’s history. “It is a continuation of our attempts to gain recognition which began in the 1990s and continued under Yossi Sarid [a former education minister] and Haim Oron [the current party chairman]. They tried to open these discussions in committees but it was rejected by the government.” Gal-On describes the issue as a personal one as well. As a daughter of Holocaust survivors she believes in recognizing and speaking out about genocide. “It is not only limited to the memory of our Holocaust… we have a moral obligation to commemorate.” Gal-On also recalls that one of the problems with public opinion not recognizing the issue in Israel is that it was rarely raised in the media until recently. It is interesting that she mentions the media blackout that used to exist on the topic, since Hintilian also recalls that he was once interviewed for a documentary for Israeli TV. Gal-On, like Hintilian, also believes that what is happening in the Knesset is a symbolic recognition, not an official policy change. “It was not put up for a vote. The only vote that was taken was on having the discussion in the Education committee. It came before the Knesset plenum and they voted for having this discussion. The committee didn’t vote for recognition of the genocide, it has no formal authority to recognize a historical event. It only serves as a declarative issue, this is the main achievement,” she explains. One issue that has come up recently is the fact that the recent discussions in the Knesset have received support from centrist and right-wing politicians, some of whom in the past argued that for pragmatic reasons Israel should shelve the Armenian issue in favor of close relations with Turkey.